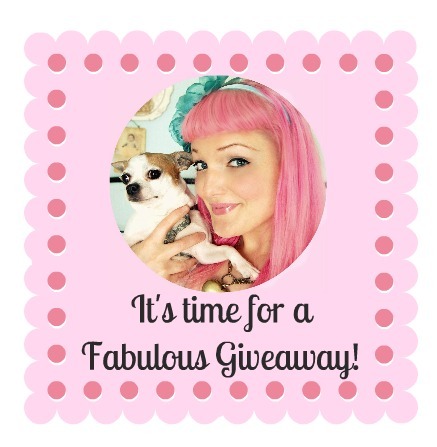 It's time for a Fabulous Giveaway from my lovely May Sponsors! Hey guys! I'm super excited to share this Fabulous Giveaway with you! I cannot thank my lovely May sponsors enough for their generosity! I am just so honored to be a part of such an amazing community of artists, writers, photographers, crafters, bakers, makers, and all around awesome peeps! This is officially my first group sponsor giveaway and I am super happy to tell you that it will not be the last! I will be doing a group giveaway each month! So stay tuned for all sorts of FUN and fabulosity! This month's giveaway is brought to you by four amazing gals! Rachele of the Nearsighted Owl, Laura of Vintage2Glam, Dana of Wonder Forest, and Amanda of The Fancy Lady Gourmet! One lucky lucky winner will receive all four prizes! A value of over 175.00! 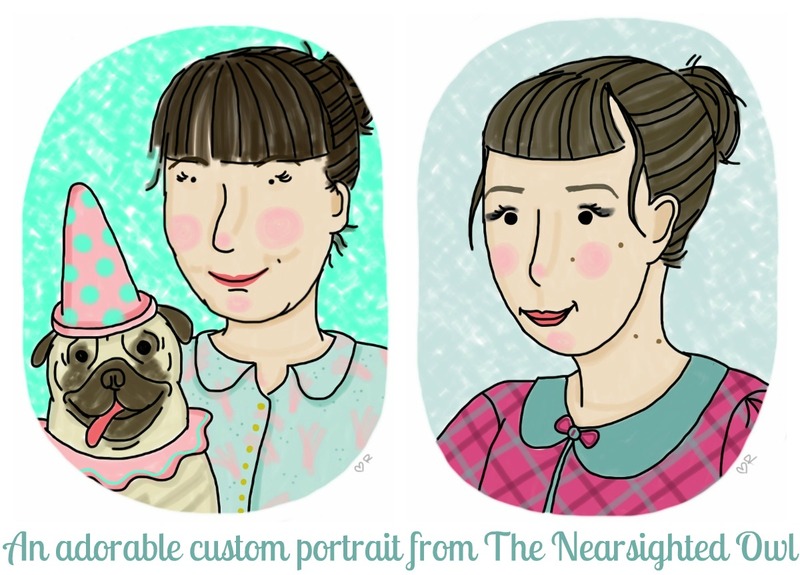 I just love love love Rachele's custom portraits! They are perfect for using on social networks, gifts, business cards, wedding invitations or for bloggers. The winner will receive a custom one of a kind portrait of them self or a loved one. As well as a small ad spot on Rachele's fab blog for a month! Awesome right?! Laura's pieces are just so beautiful. See the little brass birdie fly spiritedly from her nest...which is filled with itty bitty baby pearl eggs. These adorable elements are attached to a vintage keyhole found on one of Laura's antiquing outings at the famous Brimfield Market. These pieces are paired with a tiny piece of vintage lace from her stash of trims. The chain consists of a section of brass chain attached to 2 vintage czech glass beads which then attach to fairy silk cords. You can tie the cords to the length you like which makes it so very comfy to wear. I was so happy the day I came across Dana's fantastic blog! She is dedicated, stylish, and generous, to name a few. I'm in love with her fabulous photography. I'm honored to have her as a sponsor this month. 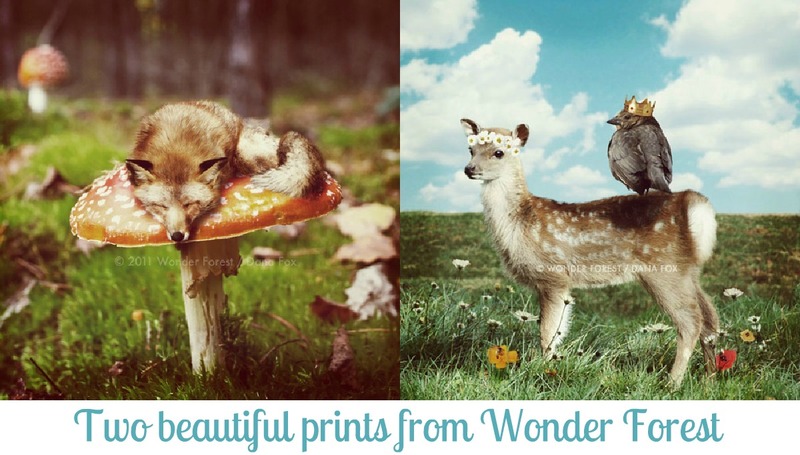 This multi talented gal has offered up these two magical and quirky prints. The prints consist of her original photo manipulation artwork. They're sized approximately 8" x 7" and will be printed on a premium luster professional Epson photo paper. The winner will receive both "Mushroom Dreams" & "Kings and Queens"
Amanda's work is beautiful! Her cookies are edible works of art. And I want you to know that they taste as good as they look. Me and Aaron have tried them and we just swooned! Her talents with edible artwork are limitless and she has made her services widely available. She creates custom sweets for parties, celebrations, showers, etc... Her specialty is decorated gourmet shortbread cookies. They're buttery and delicious, made with high quality ingredients, and the winner will get a custom dozen! How fantastic are all of these goodies?! I'm so excited for you guys! Thanks to this handy dandy widget below it couldn't be easier for you to enter! ...with a few chances at that! Thanks so so much to these lovely ladies for making my debut group giveaway so awesome! What a great giveaway and some fabulous new blogs to follow! I really adore those necklaces from vintage2glam but they all have really fantastic things! Wonderful giveaway.I just love discovering new awesomeness like these blogs/sponsors :) Thanks so much for the chance to win, fingers crossed! The keyhole necklace reminds me of dear sweet Alice. Loving that key hole necklace! cool giveaway! would really love to win a custom digital portrait from Rachele and the hand Painted Russian Floral Pendant Necklace from VINTAGE2GLAM. hey, I went to have some pink put in my hair, but they couldnt find a light enough shade and there was no way to tone down the bright pink that they had I was so disappointed. Wondering, what dye do you use for yours and where do you get it? What's not to love? Everything is fabulous! wow beautiful giveaways, love the jewerly so cute....thanks for a chance to win, love your blog. This is my first time entering a give away I think I may become addicted. Of course the custom prints from Rachele are "a door bell!!!" If I wonI think I would send in a picture of my boyfriend and puppy dog then again a digital print of my nieces would be tops. I am very much digging the style posts of cupcake and corsets. I would pin her entire blog if I could. Thank you so much for the introductions to these new sources of inspiration. Cant wait to hear about the drawing results. Omg how wonderful and exciting! Good Luck to everyone! :D YAY! I love this giveaway! Everything is super cute but I'm most excited for the cookies! I love this giveaway! Everything is super cute but I'm especially excited for the cookies! those cookies look too good to eat - seriously! What a fun giveaway! I love the super cute cookies. The birdcage ones are my favorite. The Keyhole Necklace from Vintage2Glam is just lovely. Thank you for the wonderful giveaway. Such amazing and talented artists. 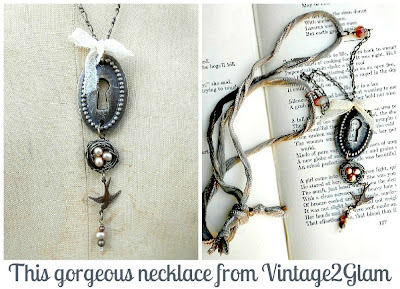 I really like the sterling silver bird nest with birdies and pearl necklace from Vintage2glam. Wow! Some wonderful new blogs to follow AND a great giveaway! 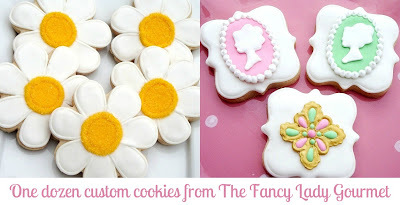 Love the Russian doll cookies; the keyhole necklace; so many beautiful photos it would be hard to choose. And I'm chuckling, wondering what a custom portrait of me would look like! I LOVE the prints and i would love to get a custom print of my niece from Rachele. Oh me oh my I hope I win!! I love finding new blogs and shops so this is great! I love all the cookies! especially the alice in wonderland ones! Wow! What a great contest and what a fun way to learn about new vendors!!! I Love Wonder Forest's "Home Wasn't Built in a Day" print. Such a good reminder! Hello! Aside from being pretty obsessed with some of ur prints I also love the custom portraits from Rachelle at Nearsighted Owl, would LOVE one of me and my husband... we are about to be reunited after two long hard years living on opposite sides of the world... a custom portrait would be a perfect way to mark the occasion! !